When you leave home, there are some nagging doubts that might bother you. Did I turn off the coffeemaker? Did I set the security alarm? Are my kids safe at home while they do their homework? With a smart home, you can spare yourself from worries by just looking at your Smartphone or tablet. You can connect the appliances and devices in the house so they can communicate with one another and with you. Terms like smart house, smart homes or connected house are heard a lot these days. This means that a home incorporates the use of advance home automation systems that provide home owners with sophisticated control and monitoring to the entire home. Virtually any device that uses electricity can be put on the home network, at your own command. Whether the command is by voice, tablet, smartphone, or remote control, your home reacts to your instructions. 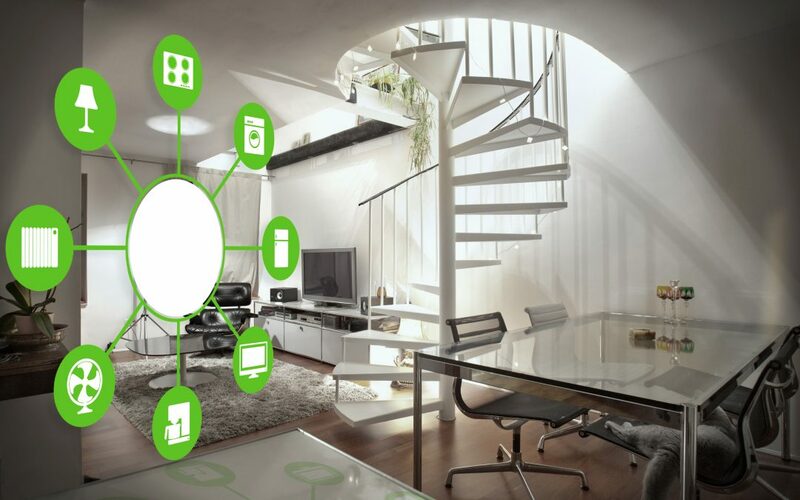 Commonly connect appliances to a smart home are lighting, heating, air conditioning, access control, camera systems, audio and video systems, home theater / entertainment and of course home security. With a smart home, homeowners can receive intelligent feedback and information while monitoring the different aspects of the home. If you want to create your own smart home, you can do as much or as little, depending on your needs. For a start, think of the tasks you routinely do and find a way to automate them. You can begin with a lighting starter kit. But if you want to have a more expansive system that has a lot more features, it’s best to carefully design how the home will work, particularly if renovation or rewiring will be required. You should also give some thought to strategically place the nodes of the wireless networks, so they will have a good routing range. Below are some products and their functions that you can include when making your home a smart one. Smart homes make life easy and convenient. Who doesn’t like the idea of being able to control temperature, entertainment, lighting, etc.? Whether you are working or on holiday, your smart home will keep you in touch with what’s going on back at home. High tech security systems are often setup to provide immense amount of help in cases of emergency. For instance, a smart home will not only notify that there is fire, but it will also unlock the doors, light the path, and dial the fire department. There are also more helpful tricks that you can benefit from a smart home. Smart homes offer very exciting opportunities to change how we work and live our lives, while allowing us to reduce energy consumption. Imagine how beneficial it is to be able to check your messages, open the windows, control the lights, and monitor the safety of your family through your smartphone. The best thing of all, you can do these anytime and anywhere in the world. I wanted a simple monitored alarm with a couple of sensors for a small 2 bedroom flat. Found Security Search simple to use, the price was fair and the installer efficient and friendly. Easy to use online quote system, had a call the same day after requesting a quote and an alarm installation for a new home completed 3 days later. I felt overwhelmed when I first started researching security systems - there were so many options, yet I wanted something local and affordable. Then I found Security Search, entered my details and the first company replied to me within the hour. I had my alarm installed within the week. Result! © Security Search - Online Security Quote Comparison 2013.